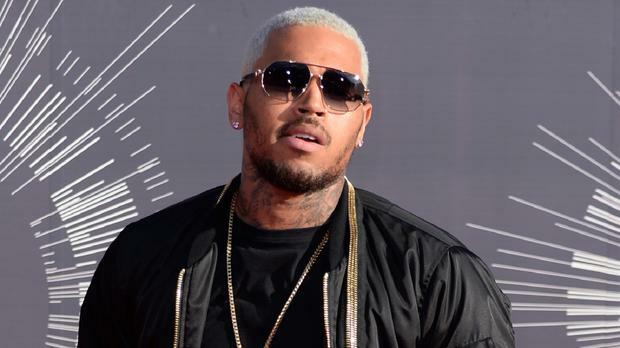 Chris Brown has credited prison with helping him to get his life back on track. The Beautiful People singer said his three-month spell in jail earlier this year had helped him to see how he would like to behave in future. He said: "Well I've always reneged on a lot of my situations but I think that's a part of growing up and learning. For me, now I have a better sense of what's important, being that I was incarcerated, being that I've had the bad stuff happen to me, so I think for me, it's all learning. "You can't continuously mess up. You're not going to get that many chances - I'm not saying by my peers but I'm just saying by God in general. For me and my spirit, I just want to be able to have some peace, be able to chill and do what I love because I was blessed with this opportunity and this talent, so I don't want to waste it." Chris was jailed after punching a man who tried to get into a photo he was having taken, which violated his probation from attacking Rihanna before the 2009 Grammys, who was his girlfriend at the time. He said: "At first I went mentally into being aggressive and being totally unapproachable with situations because I didn't feel comfortable with myself, with living my life as far as whatever mistakes I made because I was constantly being judged. "Then I just had to realise that it just comes with the territory. It's my life. At the end of the day, I'm a musician, I'm an entertainer and I influence a lot of people, young and older." Chris added that for other young stars, including Justin Bieber, it could also be tough growing up in the spotlight: "Growing up in the public eye, even from being younger with all of the success - girls, money, everything - it can get to your head real fast. "It can go to my head. It definitely did. I was arrogant, cocky, thought I was invincible at one point. But at some point you still have to remember where you came from. "I think in general as young entertainers, as young, I would say icons, but young people who are in the public eye at all times, the difference is we don't get the benefit of growing up behind the camera. We don't get the benefit of making our mistakes and nobody hears about it." He said of his name often being linked to domestic violence after his attack on Rihanna: "There could be a million other celebrities who were in the same situation, but because of the high-profile case and whatever it is, they're going to always automatically associate myself with it. "When the media associates me, it's to do a bigger message. It's to show the world and raise awareness for it and definitely show that it's not OK."